Focus on Farming & Focus on Forestry 2017 Registration is Now Open! Register today for the Focus on Farming Conference November 1, 2017! Spend an outstanding day of learning, networking and enjoying farm fresh local products prepared by fantastic local chefs. 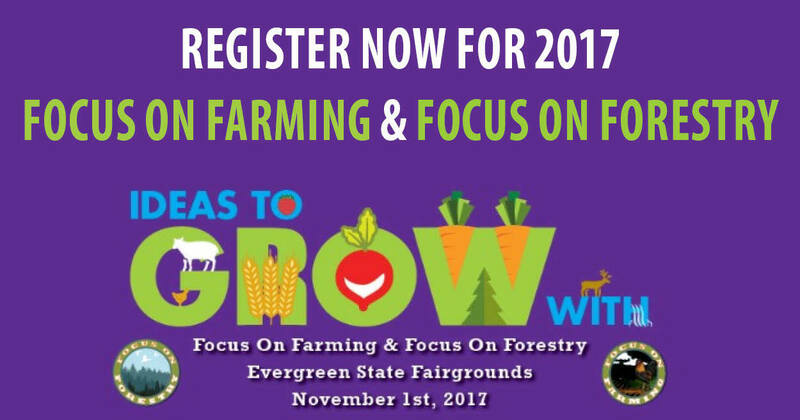 The 14th annual Focus on Farming conference, "Ideas To Grow With," is scheduled for November 1, 2017 at the Evergreen State Fairgrounds in Monroe, WA. The conference also includes Focus on Forestry workshops. Keynote speakers include John Ikerd, speaking on "The Status and Future of Local Foods," and Ben Hartman, author of "The Lean Farm", sharing how you can implement Lean on your farm. 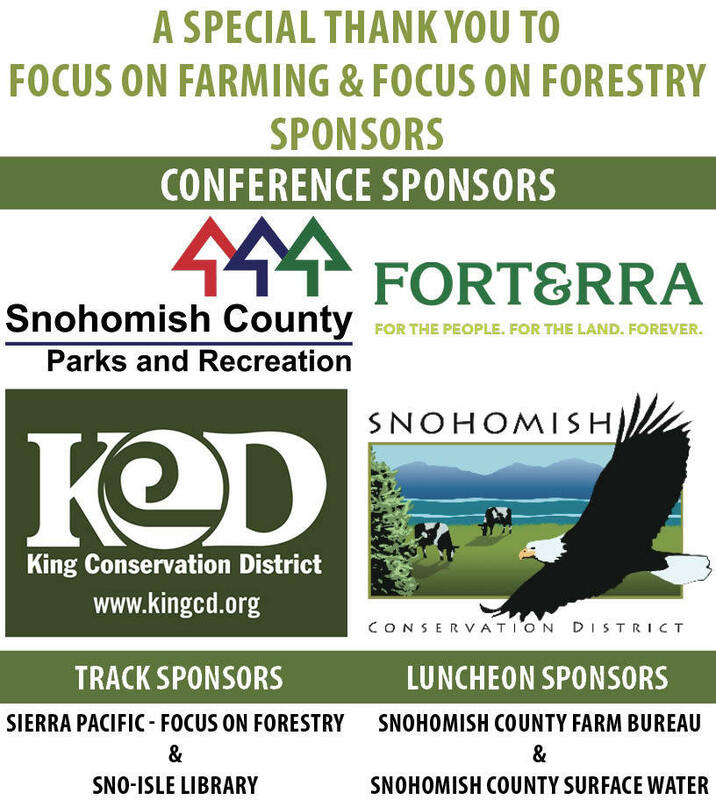 Focus on Forestry will feature workshops and discussions on forest health, economic opportunities for the forest industry and future plans for the forest and timber industry.